The Moon is void from 7:50 PM forward. (until 3:18 AM tomorrow). The Last Quarter Moon occurred on the 10th and the New Moon will occur on November 18th. Mercury is in its pre-retrograde shadow (Mercury will retrograde from December 3-22). 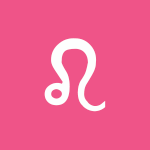 You have a lot to learn about yourself and your needs through your interactions with a significant other today, dear Aries. You may be going back and forth about whether you want to be close to someone or enjoy some independence now. As the day advances, allow your intuition to flow naturally and spontaneously so that you can arrive at a greater understanding of people and money, not through analysis but your intuition! Finances may improve through unusual, hidden, or unexpected channels today and tomorrow. Honesty with yourself and about your feelings can take you to a place of forgiveness. A cycle beginning today brings increased energy, effort, and patience for focus, concentration, and research. This cycle that lasts until the middle of January is also excellent for self-renewal through channeling your energies into worthwhile personal causes or for getting rid of bad habits and making lifestyle changes. You have a lot to do and much to draw your attention to work and duties now, Taurus, but you’re also in high need of a break! This can be a day of going back and forth between the two or finding a healthy compromise. The latter seems more satisfying. With Venus and Neptune on their way to a harmonious trine, you are very tuned in to your intuition. Your powers of attraction run high, as well. You are coming to a place of understanding about recent events, and especially surrounding your relationships. People tend to be on your side right now. You may not be wholly decided regarding your affections, but you’re getting there. A cycle that begins today and runs until the middle of January is excellent for developing partnerships or working relationships. Someone may be particularly helpful for getting things done or might motivate you to set important projects in motion. Alternatively, this is an excellent period for working very well in a partnership. You may feel a sudden need to pull yourself away from a project, relationship, or situation today simply because you need some air or space to breathe, dear Gemini, as fun or exciting as it is. Keep in mind, however, that abrupt actions can lead to frustration or confusion, so aim to divide your time without too much fanfare. Venus and Neptune are heading towards a harmonious trine, and this can draw the artist out of you. It’s excellent as well for arriving at solutions or ideas instinctively and not necessarily in logical ways, as well as applying your creativity to practical matters. There could be unusual circumstances connecting you with the right people, projects, and information now, particularly when it comes to work and health issues. A cycle beginning today and lasting until mid-January, in fact, is excellent for bringing more value and efficiency to your daily routines, work, or pursuit of health and wellness. This can be a pleasantly busy, dedicated period of your life. 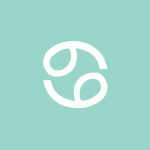 As much as you’re into your home life right now, you may need to pull back or take a break if you begin to feel a little smothered or out of the loop, dear Cancer. You shouldn’t have much of a problem finding outlets for expressing yourself today. Avoid abrupt actions for best results now. An inspiring influence helps soften the day’s energies, encouraging good feelings, forgiveness, and imagination. You are attracting who and what you want, although in many ways you’re doing so indirectly. Letting go of negative thoughts or expectations helps you enjoy and relax. Interestingly, you’re beginning a cycle, lasting until mid-January, in which you start taking your leisure time more seriously. From the outside looking in, entertainment and pleasures may resemble work! However, this is a period in which you enjoy applying yourself to projects and hobbies. A more dedicated, committed approach to creative projects, love relationships, children, and hobbies can benefit you greatly, and can even be healing now. You’re inclined to enjoy your personal interests thoroughly and to take on many and varied activities today, Leo. Even so, you need a breather from this from time to time, if only to gain some perspective. Feeling confined can slow down production. It helps to shake up the routine a little so that you can refresh yourself mentally and emotionally. A Venus-Neptune aspect holding sway over the day easily pulls you into a compassionate, accepting frame of mind. This is a good time for strengthening relationships through appreciation of shared memories and familiarity. There can be more tenderness and gentleness in your interactions, and there may be a theme of service or support. Also today, you begin a cycle in which you pay particular attention to home and family matters until mid-January, and this can be quite satisfying and healing. Building your primary relationships and dedicating yourself to family or domestic concerns can help you feel more secure and confident. You’re excited about your work, business, or personal accomplishments right now, dear Virgo, and rightfully so, but today, you may need to take some breaks from the routine just to refresh yourself. Try not to fight this need for inspiration. 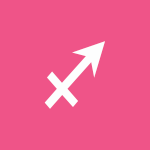 A Venus-Neptune aspect comes into influence today as well, and also supports healthy escapism! This aspect encourages you to let go of tension and enjoy life’s beautiful moments. There is good energy for getting a warm message across. A helpful conversation or understanding with someone can figure strongly now. Also today, you begin a cycle, lasting until mid-January, in which you can be very dedicated to your personal interests and projects, sharing ideas, and connecting with others. People are drawn to your intelligence or unique viewpoint as well as your commitment to whatever you’re doing. You can be so intent on your personal plans and endeavors today that you find yourself resistant to changes introduced by others, dear Libra. With the Moon in your sign, this is a time for some healthy self-focus, but it may be a good idea to give a little if sticking to your plans winds up making you feel stuck and uncomfortable. Fortunately, a Venus-Neptune trine comes into influence now, and you can feel increasingly more confident in your intuition as the day advances. There can be a soul connection made or a feeling that things are magically falling into place. A psychic rapport experienced with people around you is possible now, particularly in your working relationships. An air of mystery around you can be beneficial. Also today, a cycle begins that lasts until mid-January in which security and business or practical matters are a focus. You’ll find it easy to pour your energies into earthy, comforting, and natural activities that help you heal and cleanse, as well as hone and develop talents and boost your income. A strong urge to hide yourself away or take a bit of time away from demanding situations can overcome you today, dear Scorpio, and you need this. However, you may have to do battle with a few things you’ve left undone, and coming to a compromise makes the most sense. Dividing your attention may have to do, and doing so without too much fanfare makes the day run a little more smoothly. A Venus-Neptune aspect influences the day, fortunately, and supports your efforts to relax and decompress. It holds the added benefit of framing you beautifully. On both social and spiritual levels, the day can be quite magical. Happiness in the present but also hopefulness about the future combine to your satisfaction. 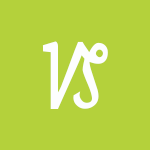 With Vesta entering your sign today and staying in Scorpio until mid-January, having a personal project or mission becomes you. Independent work may be in focus now, and taking extra time to concentrate on your work or pursuits can be rewarding. Commitments to a friend, network, or group are in focus today, dear Sagittarius, although they can clash just a little with more personal concerns. Giving a little by compromising may be your best bet. A Venus-Neptune trine influences the day (and tomorrow morning), and although relationships require some delicacy, they have a magical touch to them. This can be a good time for coming to a sense of peace about your private life or enjoying a revelation or secret. Supporting someone in your life can be very satisfying. You begin a cycle today, lasting until mid-January, in which you can get a whole lot done behind the scenes or doing background, unglamorous, or preparation work with Vesta in your privacy sector. Doing things on your own can be most effective, and you can be happily busy in the process. You also have a stronger need to regroup and recoup your energy, and perhaps more options to do so during this cycle. You can find yourself quite engrossed in your work or responsibilities today, dear Capricorn, with the Moon, once again, spending the day at the top of your solar chart. However, distractions are likely, some of which have to do with your own inner unrest or restlessness, and you may need to divide your time. Helping you along is a Venus-Neptune aspect that comes into influence, promoting psychic rapport with others, expressions of compassion and forgiveness, and thoughtful gestures. Today and tomorrow are good for mending broken fences. 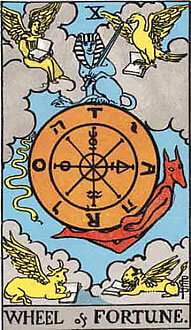 In fact, you begin a cycle today, lasting until mid-January, in which working with others towards a common goal — or working towards a cherished dream independently — can be very beneficial, healing, and satisfying. You can find yourself pleasantly committed and dedicated to a friend or project now. Again today, you have a particular interest in learning, sharing ideas, and personal interests, dear Aquarius, and these endeavors are in great shape, save for a few distractions! Differences in opinion may frustrate, but there are a couple of influences on you now that help you rise above it all. 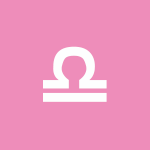 One especially supportive aspect is a Venus-Neptune trine that boosts your confidence in the idea of letting go and enjoying yourself leading to good things. It’s also good for business intuition and emotional intelligence. You’re notably winning and charming in a position of leadership or management right now, or simply getting a nice popularity boost. A cycle begins today that lasts until mid-January in which you feel pleasantly committed to your long-term goals, career, or reputation. Your increased patience for the effort involved in achieving your ambitions is notable now and leads to a more organized and fruitful approach. When it comes to money and valuables or business today, dear Pisces, you may experience conflicting drives — on the one hand to push forward and be progressive, and on the other to stick with what has worked in the past. You may be best off arriving at a compromise. A Venus-Neptune aspect comes into influence today, upping your confidence in your hunches or intuition, and possibly leading to a pleasant revelation. It’s easier than usual to express acceptance, compassion, and understanding today, and this is right up your alley. Also today, you begin a cycle in which you feel particularly committed to your beliefs, projects, or learning endeavors. This period lasts until mid-January and is excellent for developing your skills and arriving at a better understanding of your goals and beliefs. Although you are intense and sometimes quite stubborn, you are also quite versatile and somewhat restless. Your mind is so sharp and your talents many, that you may change your career path more than a few times in your life. Your relationships may be a little challenging. You tend to be attracted to unusual people or situations. You work largely on instinct, and you absorb and process information in your environment quickly. Your emotions are powerful, and you can usually use them to your advantage rather than letting them overwhelm you. People often turn to you for advice. Famous people born today: Georgia O’Keefe, Marianne Moore, Ed Asner, Petula Clark, Beverly D’Angelo, Sam Waterston. The year ahead is strong for energetic mental work. You may be involved in frequent lectures, debates, and discussions during the year. Your daily life is busier than usual and you convey your ideas more powerfully. You are quick to take the initiative and to put your thoughts into action. Do be aware that you are more inclined towards pie in the sky thinking. You could be led astray by others or by our own unrealistic expectations. Err on the side of caution if offers arrive that seem too good to be true. Some confusion or possibly deception could arise in communications this year, and you may be skipping important details without even realizing it. Developing existing businesses is highly favored this year. Long-term alliances can be made this year. This is a potentially excellent year for making prosperous connections. This is an excellent period for enjoying new opportunities, experiences, and perspectives, as well as wonderful social or love opportunities. Your faith increases and you seek out more meaning from your life. You’re in good shape for staying on track and meeting your responsibilities as well. Useful contacts can be made during this period. Your love or social life comes alive this year. 2017 is a Number Nine year for you. Ruled by Mars. This is a year of completion and transition. It is a time when we need to let go of things that no longer serve their purpose, and hold on to things that have a future. It is a time of cleaning out dead wood, not necessarily for new beginnings. It can be a time when a burden has been taken off your shoulders, and it can be a year of giving of yourself. Advice – let go of things that are holding you back, give of yourself and express your sympathetic, compassionate side. 2018 will be a Number One year for you. Ruled by the Sun. This is a year of action. The seeds you plant now, you will reap later. Others might find you less sociable, as you are busier than ever and you focus on your activities and your needs. Still, you are outgoing and your initiative is stronger than ever. Advice – Stand alone, take action, start fresh, express independence. 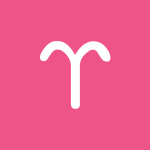 You enjoy a strong desire to grow, build, and move forward today, dear Aries, but you’re not interested in cosmetic fixes only. Resolving conflicts is natural with a focus on reinforcement and reward. Relationships get a nice boost as you’re not afraid to show your commitment and compassion. You are displaying more patience than usual with the people in your life, and you may be seeing beauty in people, places, and situations that you hadn’t seen before. The Moon meets up with optimistic Jupiter in your intimacy sector later today. You’re in a particularly good frame of mind for focusing on the things you love doing, for increased self-acceptance and enjoyment, and for learning new things about yourself or someone important to you. 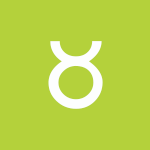 Powerful aspects today can give your relationships a pleasant boost, Taurus. There is a willingness to learn and grow, which is priceless! Your imagination is working in your favor. 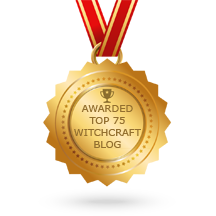 This is a time for releasing a tendency to stubbornly hold on to the ways of the past and instead embracing new methods of relating that honestly work for you. You are at your most companionable right now. A spirit of acceptance and friendship improves your relationships. The Moon makes its monthly conjunction with Jupiter later today, and this can serve to expand your feelings about others in positive ways. Your closest relationships are especially crucial to your sense of emotional satisfaction now. The environment around you is conducive to learning, dear Gemini, and you can absorb a lot now, mainly related to your work and health. Humble confidence gets you everywhere with others, and there can be some recognition of your efforts and performance. More importantly, you enjoy helping people out. There can also be an opportunity to learn a new method or you could come across useful information that helps you get the job done more efficiently or more to your liking. Your ability to see the bigger picture is motivating and helps drive you through the less glamorous work. Business can benefit if you take into account any neglected spiritual or humanitarian goals. Later today, the Moon aligns with Jupiter, and you feel particularly fulfilled when you feel needed. Watch for a tendency to feel superhuman when it comes to your chores, fitness, or work efforts. You have a couple of feel-good transits with you today, dear Cancer. You are especially free to be yourself, to explore new ideas, and to share a bit of yourself with others. You are not afraid of being different, and not going out of your way to be, either, which makes you especially relatable. Your special kind of gentleness is more appealing to others than usual right now. You’re also very tuned in on a creative level. Interactions are focused on growth and healing, and people enjoy your unique vision or personal philosophy. Emotionally, you’re inclined to look for specialized attention later today with the Moon in your showy, expressive solar fifth house aligning with jovial Jupiter. Emotionally arousing activities satisfy you most. 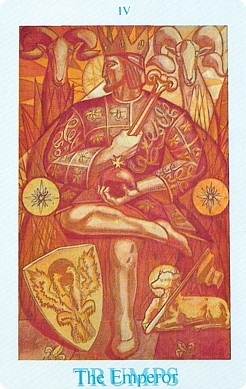 With your ruler, the Sun, and Chiron in harmony today, dear Leo, you are particularly comfortable with and relatable to others. Your unique qualities are in the spotlight, and you feel at home wherever you are. You don’t have to push anything. In fact, some understatement can do the most for you right now. Supportive emotional and family relationships can figure strongly. A Venus-Neptune trine reinforces gentle acceptance and understanding. There can be useful discoveries on an emotional level or an opening of the heart that’s significant to you. 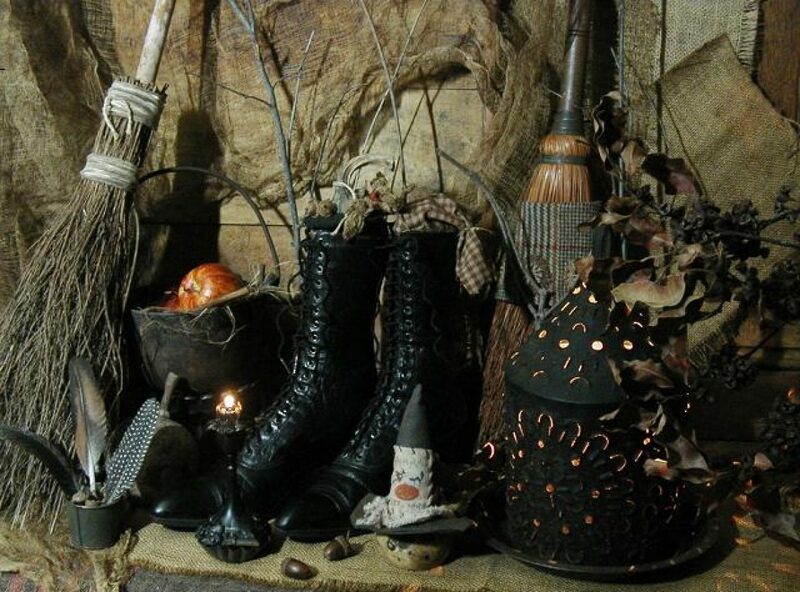 Later today, the Moon meets up with positive Jupiter, drawing out the happy nester in you, and you can find it particularly easy to enjoy domestic, quiet, or indoor comforts. It’s a fine time for spoiling yourself and loved ones a little. 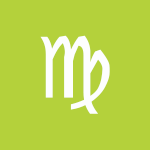 People tend to respond well to your plans and ideas today, Virgo, and letting others know that you’re listening and understanding helps give relationships a boost. Projects flow well. Pay close attention to dreams and daydreams today, as you may very well come up with a solution to a long-standing problem. A partner or friend’s gentle touch or conversation can help you relax. Money instincts are also good today. The Moon joins with optimistic, generous Jupiter in your communications sector later today, sunnying your disposition. You benefit greatly from a liberal, warm approach to your life and to connecting and communicating with others. Teaching, advising, guiding, and learning are satisfying and in focus. 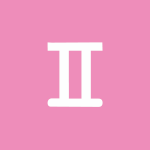 A couple of powerful aspects support your work, finances, and health matters today, Libra. Financial discoveries can be favorable now. These influences favor genuine, sincere efforts to connect with others. Solutions to problems today won’t come if forced or overanalyzed. In fact, you’ll be in great shape if you approach them holistically and do some overview thinking and feeling. This is a time for sensing trends, wants, and needs. You feel good from the inside out, and this helps motivate you towards your wellness and self-care goals. The Moon meets with Jupiter in your comfortable solar second house later today, putting you in the mood to settle in and do something special for yourself. Good energy is with you for honing a skill, developing a talent, and perhaps coming across some practical knowledge that you can put to good use. Today’s Sun-Chiron and Venus-Neptune trines are wonderful, in general, but are particularly strong for you since the Sun and Venus are in your sign, dear Scorpio. Feedback is excellent and you manage to stand out from the crowd in a pleasant way. Even if admiration isn’t quite so explicit, you are energized and motivated now, and you’re giving off a nice buzz as you go about your business. The most charming and likable qualities of your personality are magnified these days, and today, configurations bring out the idealist, romantic, and dreamer in you. You might be a mentor of sorts right now, guiding someone to a better mental space. The Moon meets up with Jupiter in your sign later today, and you can feel very hopeful. People enjoy your company and tend to connect you with opportunities or offer you invites. Today is very much about your needs, feelings, and desires. Expressing yourself through spontaneous, engaging, and perhaps unusual activities can be especially rewarding. There is no room for worry about the past — you’re looking ahead now! The day can be quite useful for gaining a better understanding of your emotional life, family, and loved ones, dear Sagittarius. Your inner fantasy world is alive and well, and you quickly draw upon your stores of compassion. You might come to a new understanding of a complicated matter from the past. This is a good day for forgiving someone (or yourself) and for extending someone help. The Moon meets up with Jupiter in your privacy sector later today, and you see real benefits to working behind the scenes, preparing, building inner strength, and reflecting or enjoying more solitude. In the year ahead, you’re bound to grow more comfortable with your vulnerabilities or limitations, and self-acceptance is both a goal and reward. 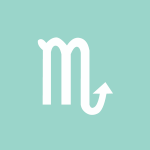 You have unusually helpful influences with you today along social lines, Capricorn. There is pleasant openness as well as sincerity and warmth in your friendships and communications now. The thoughtfulness or understanding of a friend might lift your spirits, or you might come to someone’s aid, perhaps through kind words or gestures. The Moon meets up with Jupiter in your sector of groups, friends, dreams, and wishes later today. It’s an excellent time for activities with a friend, networking, connecting, and sharing. There can be lively exchanges that renew your spirit and confidence. 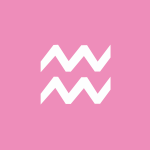 You have supportive, rewarding influences affecting your sectors of career, responsibility, and money today, dear Aquarius. It’s a time for putting your natural talents to good use, and for taking the lead. You are getting a strong sense of what you truly value on practical and professional levels. Focus on the unique elements that you bring to your work and your partnerships, and watch as you attract the right resources and people to you! The Moon meets up with Jupiter in your sector of responsibilities, career, long-term goals, and reputation or status later today, suggesting a real enjoyment of taking care of business and pursuing your goals. Others respond well to your comfort with the role of authority or leader, and this can lead to excellent opportunities to advance. 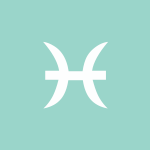 Two strong influences today serve to highlight your unique and valuable traits, dear Pisces. You’re seen in a particularly favorable light, and your powers of observation run high. In fact, you may be in demand for your insight and perspective. It’s a good time to teach, guide, and learn, or simply share ideas and bond with others through them. The Moon meets up with optimistic Jupiter in your sector of spirit, higher learning, and adventure later today. This is a good time for instruction, guidance, advice, teaching, and sharing ideas. Your attitude is positive, and your resourcefulness comes to the fore. Your partner will have more than romance on his or her mind. Enjoying some time together will be an all-consuming date. Can you forget about doing anything halfway? The Emperor is blessed with the skills to successfully lead others. He can turn chaos into order and provide structure to that which is unbound. He is quick of mind and confident in his power and right to rule, and does so in a just manner. Although stern by nature, he truly is the ultimate father figure. He will provide as needed, teach those with unanswered questions, protect the vulnerable, set and maintain boundaries. His perfect world runs on schedule and is free of any disturbances. What the Emperor must be wary of is setting boundaries and rules where none are needed. If he isn’t careful not to over use his powers he may well become a tyrant. Tiwaz is the Warrior Rune. It represents pure, masculine power and the ability to successfully fight to meet your goals. However, you must be careful that costs of attaining your goals overshadow their values. So far today, Goddess, I’ve done all right. I haven’t gossiped, haven’t lost my temper, haven’t been greedy, grumpy, nasty, selfish or overindulgent. I’m really glad about that. Bear in mind that, in the natural state of spiritual living, as free spirits in the mental realms, there are very few limitations. People can manifest anything they need, relocate instantly in space, shift to a different position in time, all at the speed of thought. In the mental realms, people can visit friends or go along with them, exploring the universe, all through the power of thought. That’s why they’re called the mental realms. Humankind then made the joint decision to immerse itself further into a denser, more focused reality. Their focus was directed upon the physical senses, along with a detachment from the superconscious and subconscious levels of thinking. By maintaining a tight focus upon the “outer” world of the senses, humans could even believe that they are fixed into one location in space and locked into a time continuum. And remember, this ride through intense physicality was always a choice. We may not remember as far back as when the choice was made, but, at a soul level, we’ve been willingly hopping on and off the theme park ride of physical life on Earth ever since. Most of the time I have received this card with more irritation than gratitude. Usually, this message comes at a time when something I consider disturbing has occurred. When the card shows up, it almost always makes me smile. There is a certain element of freedom in the awareness that my blessing the situation will cause it to vibrate at a higher frequency. To bless means to confer energy upon. When we bless something, it brings the Infinite Intelligence in Divine Light to the circumstance. It also gives us the opportunity to ask for a Creative Solution if it seems so dire that we can’t see our way through it. The Divine always offers a solution inherent in every problem, as long as we raise our frequency to match our desire. Our prayers act as a beacon to call to the energy that we want to experience. Those who have had near-death experiences report seeing brilliant streamers of light shooting off the earth as people pray. They were even shown the angels waiting to fulfill those prayers. That is one of the jobs Angels were given to do by the Divine Presence. This is very reassuring information for me. Athena is a warrior/maiden goddess of wisdom, war, crafts, and poetry. In her war aspect, she is known as Pallas Athena. Some of the more familiar symbols for Athena are the javelin, spear, shield, and plumed helmet. She was usually depicted with an owl perched on her shoulder, symbolizing wisdom. There is some debate over Athena’s origins. gins. Traditional mythology says that she sprang full grown and ready to rumble from her father Zeus’s head, while another school of thought believes that she may have been originally a Mycenaean goddess of home and hearth. Athena was called “bright eyed” and was a patroness of women’s rights and freedom. dom. She also presided over craftsmen, potters, weavers, and spinners. To round things up, Athena was also associated with writing, music, wisdom, justice, and peace. In this aspect, her symbols are the owl and the olive tree. In a Homeric hymn to Athena, she is described as a “glorious goddess, gray-eyed, resourceful, and of implacable heart.” The birthday of Athena was celebrated on March 23. Her sacred city was, of course, Athens.